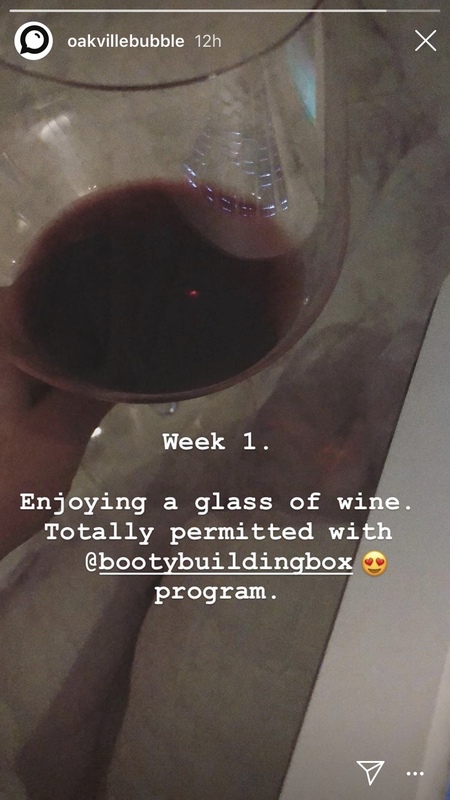 It’s the weekend and yasssss you can have some wine, it’s totally permitted in the Booty Building Box programs. How much alcohol is allowed and when? At Booty Building Box we suggest that you avoid alcohol on booty building days. However if you end up going for dinner and you want to have one alcohol beverage that’s okay, just make sure you hydrate enough to make up for it. Also make sure it’s not right after training get some food in you first! Otherwise we suggest keeping alcohol consumption 2 days post working out. Making sure that your muscles have had enough time to fully heal and build lean muscle mass. If you’re sticking to the program Mondays and Thursday then having a couple glasses of alcohol on Saturday night works out good. The reasoning behind not consuming alcohol on training days, is simply the fact that it dehydrates your muscles interfering with the muscle development stage. So to all the ecto and meso booties that are really trying to build and curve out, we would suggest to avoid alcohol all together on training days. Stick to the weekend!